EastEnders is the UK’s longest running soap and is one of the most popular TV programs of its type anywhere in the world. It is finely ingrained in the UK zeitgeist with fine moments such as “Ricky!” and “Get out’ve ma pub!”. Being able to watch EastEnders online is a simple process if you reside within the UK, all you need to have is a TV license and then make your way to the BBC iPlayer website or app and you are free to watch whatever you want. First, the BBC made it so that you need a UK IP address in order to access iPlayer, shortly after that they started to block many popular VPN services from being able to access the service too. This has since made gaining access to BBC iPlayer outside of the UK quite the task compared to what it once was but thankfully the blocks are easy to bypass. There are two methods you can use to watch EastEnders online, what is best is dependent on your own needs. I will detail some of the positives and negatives behind each method so you can make an informed decision. As always, with a VPN you get the peace of mind knowing that all of your internet communications are encrypted. If privacy is important to you then there is really no other choice. The issue with using a VPN to watch EastEnders online is that many VPN providers have been blocked by the BBC, it may be the case that your current VPN provider hasn’t been blocked but it could happen at any moment. Another downside is that your speed will be affected so streaming may become a difficult prospect, especially in HD. Though this is entirely dependent on where you reside. Smart DNS doesn’t encrypt your internet communications (and it shouldn’t really be used in conjunction with a VPN) but it was made specifically for this purpose. Smart DNS doesn’t affect your internet speed either so streaming will be using the full potential of your internet speed. It is also available on pretty much every internet capable device, whereas VPN is not. As mentioned above, some VPN providers have been having issues with BBC iPlayer blocking well-known VPN providers so that users cannot use BBC services. As such it is important to find one that advertises the use of their VPN with BBC iPlayer. The best one for long term use is VyperVPN. They have their own “Chameleon” protocol that is based off of OpenVPN, it is specifically designed to get around these sorts of targeted blocks on VPN providers for popular services. As such, going forward VyperVPN will probably not see their service rendered unusable for BBC iPlayer and other similar video streaming services. IPVanish is another good choice that supports the use of BBC iPlayer, one of their main focusses is to bypass these sorts of blocks so you can be sure that IPVanish will be on the ball when it comes to geo-restricted content. 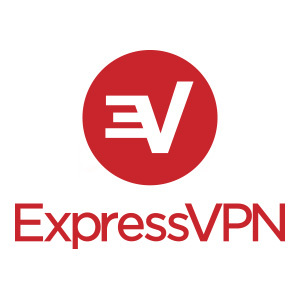 ExpressVPN is also a good shout due to the sheer size of the company, they are always making sure that they stay one step ahead of video services so that their users get uninterrupted access to the content they want. If you look elsewhere you will want to make sure that your VPN provider offers a UK server for use, and make sure it is a fast one with no data caps otherwise you may find yourself a bit miffed when trying to watch EastEnders and it cuts out just as you get to the juicy bit. 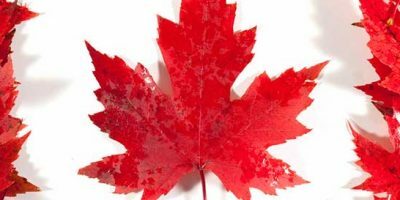 If you are on PC and your VPN provider offers a program that allows you to connect to their services, this is a quick and easy way of connecting to their UK VPN server. This is best route for those that aren’t entirely confident in their ability to set up a VPN connection manually. What is good about many of these programs are the extra features you get like a kill-switch or program auto-starts. Simply sign in to the program and choose a UK VPN server to connect to, this will vary from program to program but it should be easy to follow. If you want to connect manually, it depends on which protocol you choose. PPTP, L2TP and SSTP are natively supported by Windows and OpenVPN requires the installation of their software for connection. OpenVPN isn’t difficult to set up if you are technically minded but for newbies, it may not be the best choice. On mobile, the easiest way is to use your VPN providers mobile app and connect that way, though Android and iOS natively support PPTP and L2TP. OpenVPN is available through their own app once again. Step three – Access BBC iPlayer and watch EastEnders! Once you are connected, simply make your way to iPlayer (either through the website or app depending on which device you are using) and start to watch EastEnders. Most Smart DNS providers offer BBC iPlayer, so choose one that works for you. Have a look at what services you use most and compare that to what each Smart DNS provider offers. CactusVPN offers a good cheap Smart DNS service, at just $5 a month (or $7 with a very competent VPN service). They unblock many of the biggest video services around, including, of course, BBC iPlayer. SmartDNSProxy is also a good choice, they are one of the biggest exclusive Smart DNS providers around. It costs $4.90 a month. Many Smart DNS services offer their own program or app to use and if you aren’t comfortable setting it up yourself, this is a perfectly valid way of using Smart DNS. Setting it up manually is simple too, all you have to do is replace the DNS values on your internet connection and you are good to go. Step three – Watch EastEnders online with BBC iPlayer! All that is left to do now is make your way to the BBC iPlayer website or app and start to watch EastEnders online! All it takes is three simple steps to watch EastEnders online for free. If you know someone that is crazy for EastEnders, link them this How-To so they can be up to date on their favourite soap. Please leave a comment if you have anything interesting to add.